The septic tank, which allows concrete to adjust and allows the scum to go up from the top where the rocks pull the sewage in the tank. These solid deposits and to some extent have been broken into septic tank. Septic tank removes waste and permanent and solid waste, and filters the soil absorption area and clear septic tank flow. 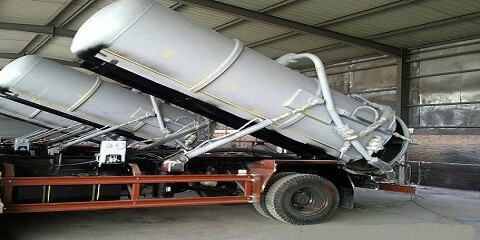 Removal of solids from wastes is prevented before accumulation and failure of the soil absorption system prematurely. So you book our service and remove your inconvenience. You can call 8004561000. Our expert service will solve the problem of septic tank . 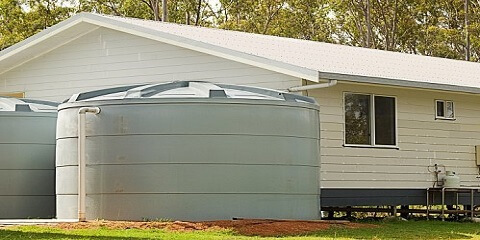 A septic tank is an underground chamber made of concrete, fiberglass or plastic through which domestic wastewater (sewage) flows for basic treatment. Settling and anaerobic processes reduce solids and organics, but the treatment efficiency is only moderate . 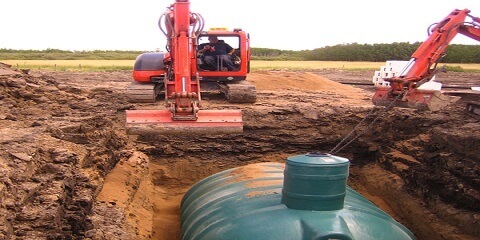 Septic tank systems are a type of simple onsite sewage facility (OSSF). 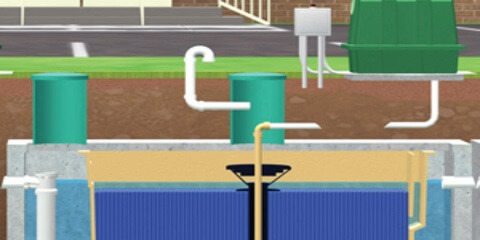 They can be used in areas that are not connected to a sewerage system, such as rural areas. The treated liquid effluent is commonly disposed in a septic drain field which provides further treatment. However, groundwater pollution may occur and can be a problem. you can call us on 8004561000 and book our service. and book our septic tank cleaning service. 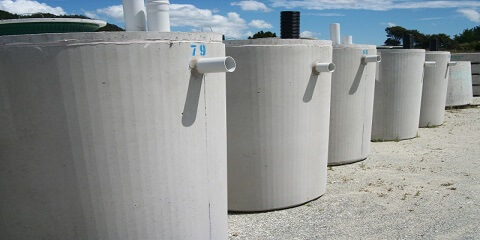 single compartment tanks you can pump from either end, however it is better to pump from the inlet end, because that is where the solids have a tendency to collect. We have heard many pumpers say they want to leave some water in the tank to start the process all over again. 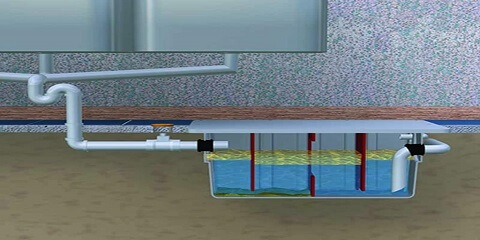 All dual compartment septic tanks should be cleaned out from the inlet end of the tank. That is the end closest to the house. In reality when you pump from the inlet side the water in the second compartment flows back into the inlet side. you can call us on 8004561000 and book our service. Everything from your house, sinks, laundry, showers, toilets, cleaning solutions and all other inside faucets empty water into the septic tank.The septic tank many wonderful things happen, bacteria forms and begins eating these items and turns them into sludg. The tank cleaning dramatically reduces tank cleaning time, respects the environment, and eliminates the need for anyone to enter a confined space. Septic tank pumping on a regular basis is a key component to maintaining the life of your septic system. ​The key reason for regular pump outs is to prevent solid matter. 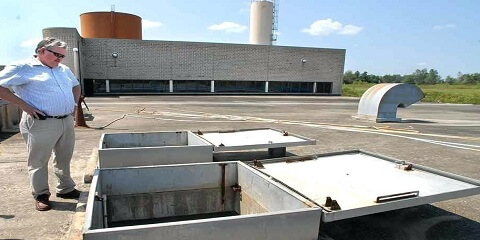 The aerobic treatment unit, or ATU, provides wastewater treatment and storage functions similar to a normal septic tank. By contrast, however, the ATU has a mechanism to inject air into the tank . This allows aerobic bacteria to treat the wastewater resulting in a cleaner effluent than that from a normal septic tank system. 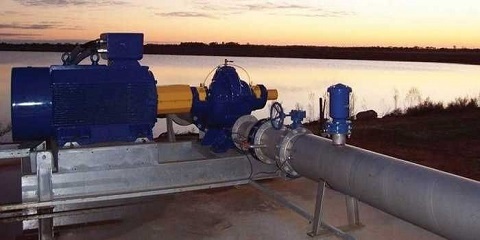 Gravity flow water distribution systems are reliable and cost effective over pumping systems as no external power is required to maintain the flow. Generally, the gravitational networks are designed as branched systems and in order to maintain their looped configuration the missing links are joined by pipes of nominal diameters. The wastewater is partially treated in the septic tank and then flows downward through a series of pipes into the leach field. Pressure distribution septic systems solve many of the inherent problems and weaknesses of gravity distribution systems. the field relative to the structure. 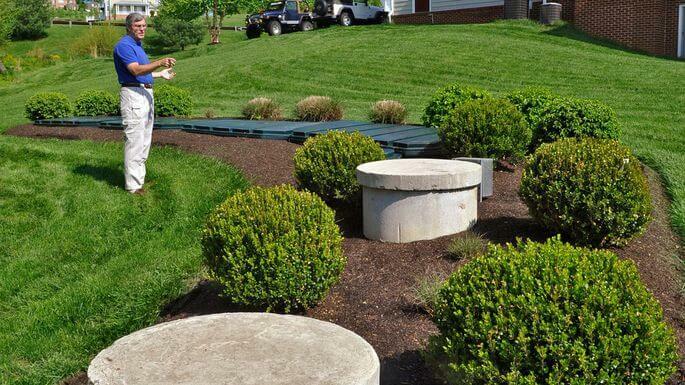 We are happy to be presented ourselves as a driving association in a cleaning of overhead water tanks .A mound septic system is an alternative septic solution to the traditional leach and drainage fields used in most septic systems. A mound system is used when the soil conditions of a drainage field are not conducive to wastewater treatment and draining. We undertake all types of Septic tank cleaning are Single Compartment Tank Cleaning , Two Compartment Tank Cleaning ,Water Holding Tank Cleaning , Pump Tank Cleaning ,Aerobic Treatment Unit (ATU), Gravity System , Pressure Distribution System, Mound System etc. Our professionals are highly skilled to check these services on various provisions of quality in order to fulfill the exact customer requirement with 100% satisfaction. We are providing all type Septic tank cleaning work such as Commercial Septic tank cleaning , Septic Suction Truck Tank Cleaning ,Drainage Tank Cleaning ,Septic Tank Cleaning, Confined Space Tank Cleaning , tank Cleaning Using High Pressure, STP Tank Cleaning, Cushions Dry Cleaning, Septic Pipeline Cleaning , Underground Water Tank Cleaning.